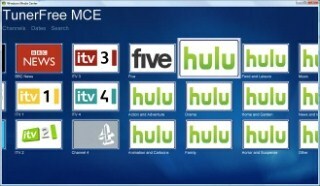 The popular Windows Media Center plugin, TunerFreeMCE, has been updated in a release the developer, Martin Millmore, is calling a “major” upgrade. The new plugin is now Windows 7-only, forgoing Vista support in order to allow for the numerous improvements it includes. Vista users can continue to use the older version of the plugin, though. The developer says that two-thirds of the plugin’s users are on Windows 7, so he made the decision to make improvements the majority can enjoy. 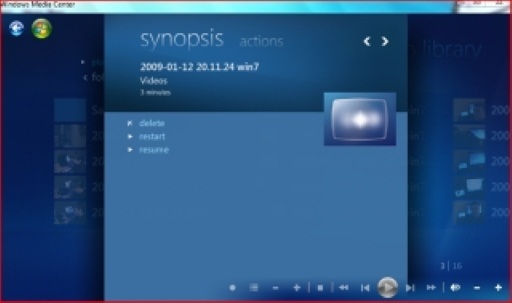 A new popup screen for managing the TV programs, allowing you to play the program, set a timer recording to record other showings of the program if you have a TV tuner configured, and if the program supports it you can add it to a playlist or download it (the last two work for BBC WMV programs, but not flash). When playing flash content, sometimes the mouse didn't click in the right place. Now you can mode the cursor round the screen with the remote by pressing the cursor keys, and OK to click. This allows you to play even the most troublesome programs. The interface is now touchscreen enabled, so if you have a touchscreen media center you can easily navigate through the screens. Plugins are now directly available within the application. When you go to preferences you will see a list of plugins. When you pick one, the system will take care of installing and updating it to keep you up to date with your favorite content. MSN has been removed. This is because there is now a native media center app to support MSN. If you’ve never tried TunerFreeMCE before, I recommend checking it out. It’s a great plugin for watching streaming Internet video on your PC and Media Center extender, including BBC, ITV, Channel 4 and Five for UK users and Hulu support for US users. Believe it or not, the plugin is actually free. However, donations are accepted.